I've been struggling to play my music since yesterday afternoon. When I press play, it keeps "loading" over and over again (note the screenshot below). Is there a general technical problem or is it just my phone? [I'm using a Samsung J5, subscribed to Premium+ and I have more than enough data]. Please help, I'm getting frustrated. 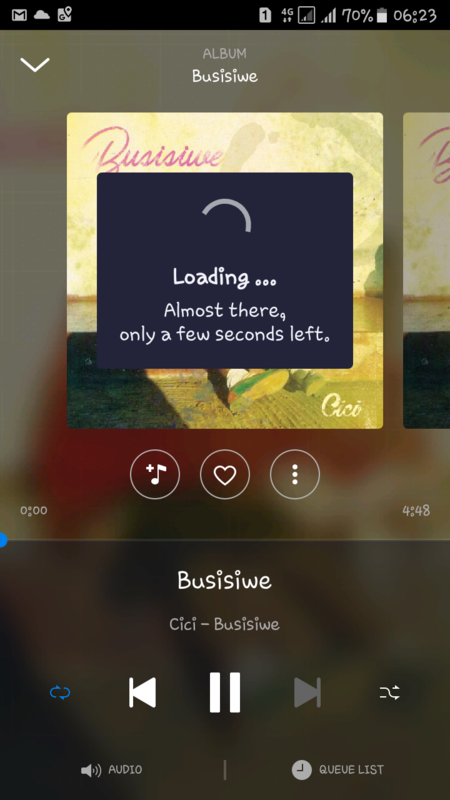 Hi @Thato B Does this happen with all tracks and if so are there any differences between mobile network and wifi? So what's the answer here? 20 minutes into my subscription and after taking a few seconds to load every time I picked a new song, which was annoying enough, now it won't load at all. I searched for an artist picked an album, stopped playing songs. Restarted my S3 Tablet, no dice. And your help community strategy...doubt I'm going to keep this, and I'm bummed, because I just got a new Cambridge Audio streamer. Hi Cris, here is the community, you might get an answer, but you might not get one, therefore we recommend to search for other topics where you can find answers or getting in touch with our support team here.